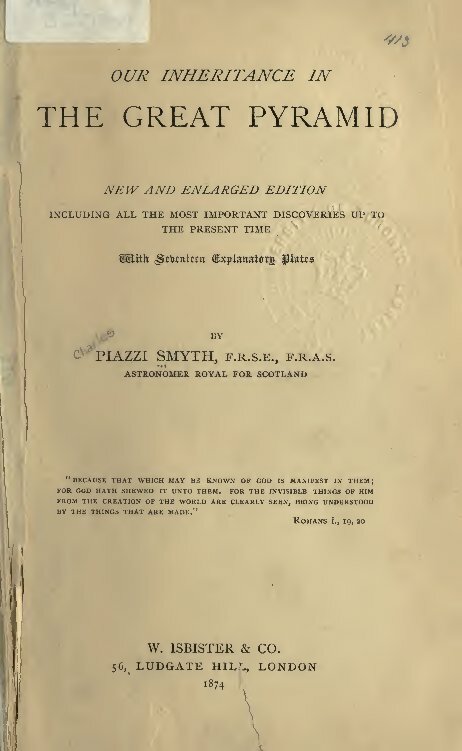 "New and enlarged edition, including all the most important discoveries up to the present time, with seventeen explanatory plates." Another good find .... Ed had that book .... I've got one , used hard cover original ...very interesting book , with illustrations. How do you know, Ed had that book? "The value of 1.00106 British inches is calculated as 1/500,000,000 of the Earth's polar diameter. The pyramid inch now appears to have no significant scientific support. " 7129 / 6105195 = 0.001167 ( the difference ) ... or just a coincidence again.